SURPRISE, Ariz. — Oregon State finished the Pac-12/Big Ten Challenge with its first blemish, but proved it is back after being on the outside looking in come tournament selection time last year. The Beavers are off to a 7-1 start with wins over Indiana, Duke, Nebraska and Ohio State. While their biggest stars are on the offensive side, they have done it with pitching. 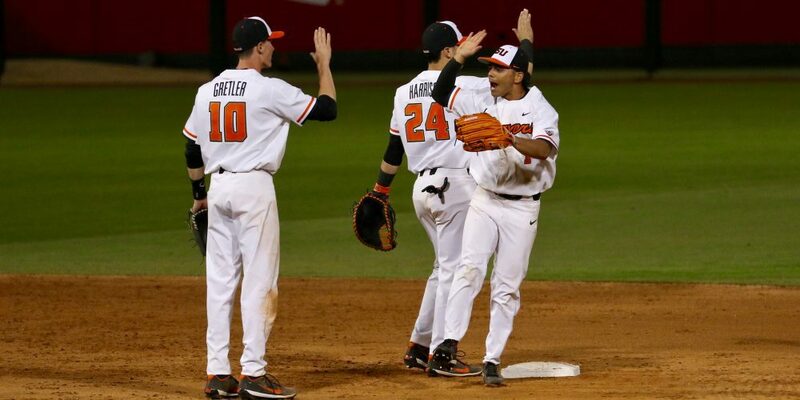 Oregon State has allowed just 16 runs in eight games, giving up more than two on two occasions — a 6-3 win over Duke on opening weekend and their lone loss, 6-1 to Ohio State. Of the four starting pitchers Oregon State has used, sophomore Bryce Fehmel is the only one with that hasn’t been in the program for at least three years. Junior lefthander Luke Heimlich (1-0, 0.71) leads the rotation and has been up to 94 mph. After Fehmel, who is the only starter with an ERA over 1.64, are redshirt sophomore Sam Tweedt, who is back after missing last year following Tommy John surgery, and Jake Thompson.